When will be T in the Park next episode air date? Is T in the Park renewed or cancelled? Where to countdown T in the Park air dates? Is T in the Park worth watching? Coverage from T in the Park music festival at Strathallan Castle in Perthshire, Scotland. One of the world's most successful DJs and producers plays to his home crowd at Scotland's biggest music festival. Edith Bowman presents coverage of Calvin Harris as he headlines the main stage for the first time since 2014. A string of global hits to his name, known for collaborations with some of the world's biggest stars, and Scotland's own superstar DJ, this live performance playing to the famous T in the Park crowd will be one to watch. Edith Bowman kicks off the last night of T in the Park with exclusive coverage of Jake Bugg's set at the Scottish music festival. With a new album out last month, the award-winning singer-songwriter has become a festival favourite and starts a great evening of music. One of the bestselling bands of all time, multiple Grammy Award winners and known the world over as a brilliant live act, Red Hot Chili Peppers take to the stage on the last night of Scotland's biggest music festival. Presented by Edith Bowman, thousands of music fans will be on Strathallan estate in beautiful Perthshire for a brilliant set and a great way to bring a weekend of live music to a close. If you were at T in the Park 2016 now is the chance to sit back and relive the great musical moments from Scotland's biggest music festival, or catch up on the bands you didn't manage to track down first time round. And if you didn't make it to Strathallan estate in Perthshire, enjoy the best of the festival... in your front room. 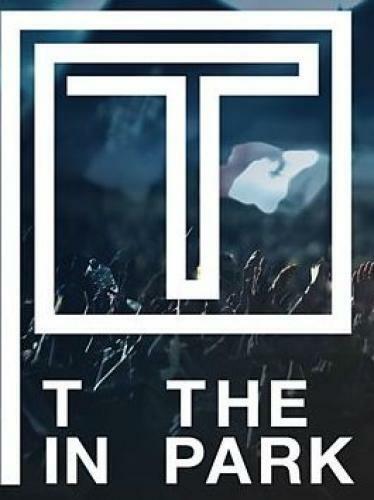 T in the Park next episode air date provides TVMaze for you. EpisoDate.com is your TV show guide to Countdown T in the Park Episode Air Dates and to stay in touch with T in the Park next episode Air Date and your others favorite TV Shows. Add the shows you like to a "Watchlist" and let the site take it from there.